Proper setup and use of your accounting software will allow you to have crucial financial data available on a real-time basis. QuickBooks is a user friendly, cost effective software solution tailored for you by your personal financial and tax assistant. 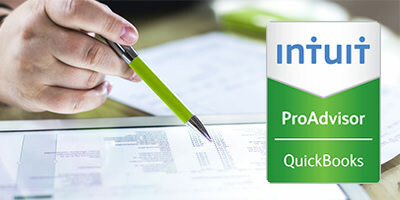 Lanier and Company offers QuickBooks ProAdvisor services which can assist with setting up your company file correctly the first time or correcting prior setup errors, training for effective use of the software, and with ongoing support. Our staff of seasoned QuickBooks users can provide you with setup and training you need to use the software to its maximum potential. Lanier and Company can take the guess work out of setting up your QuickBooks file. We assist many small business owners with the efficient use of QuickBooks to get the most out of their software. Our ProAdvisors will train your staff to efficiently use QuickBooks for daily bookkeeping activities. One-on-one attention ensures that issues unique to your business are addressed in a timely manner. Lanier and Company knows your business and can help answer questions and problems that arise relating to your individual bookkeeping and financial reporting needs.